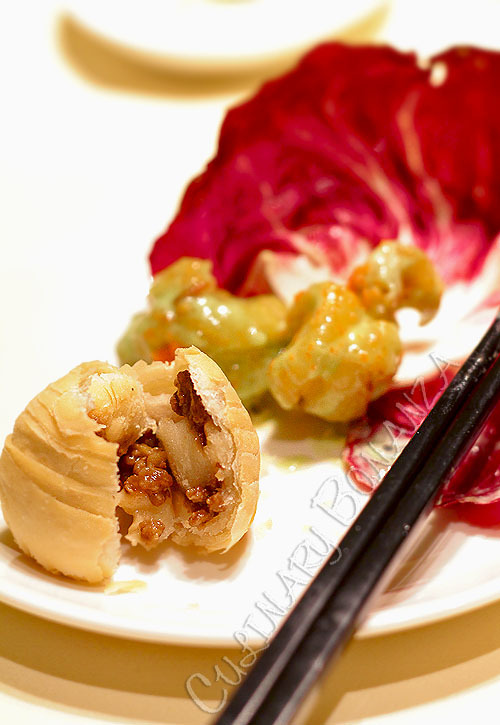 Who would've thought that a Cantonese culinary tradition can actually be tweaked with some Western touch and produce a range of interesting hybrid dim sum items? 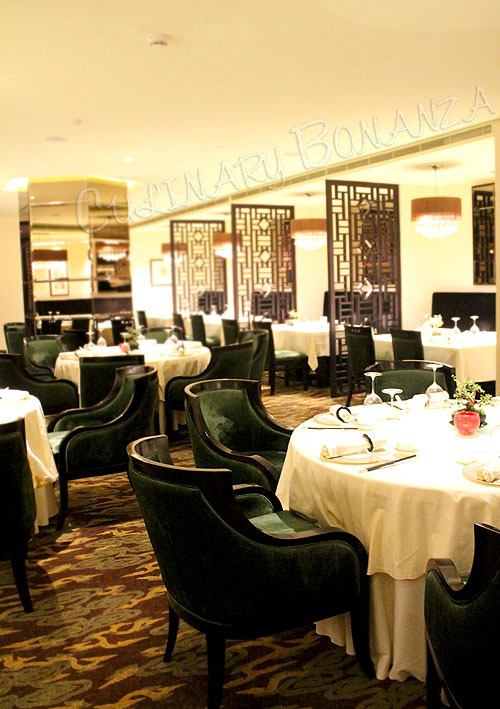 Mandarin Oriental Jakarta's new Dim Sum Chef, Lie Wing Ping apparently did. 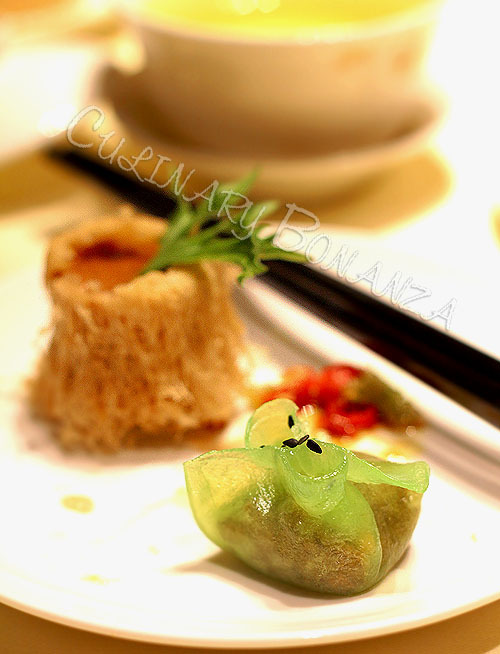 After more than 20 years experience around the region, Chef Lie created what I'd love to call 'fusion dim sum' to delight diners in Jakarta. 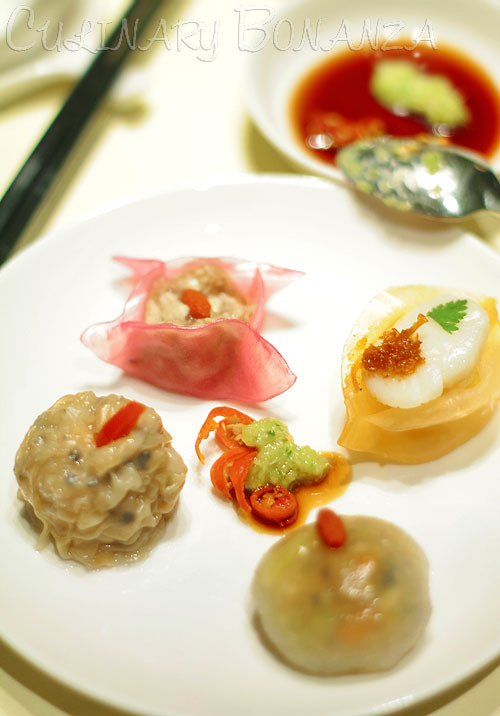 Expect to see Western food terms such as black truffle, beef tenderloin, asparagus, foie gras terrine and many others in its new dim sum menu. And what's even more interesting is Chef Lie's play with colours of the dumplings skin (see photos below), makes eating all the more fun! Like any serious no-nonsense Hong Kongers, we tucked in soon as I was satisfied with the pictures I got. My favourites are the green skinned steamed onion & ginger beef tenderloin dumpling (above photo) as well as the fluffy pastry filled with foie gras terrine (above photo). The fluffy pastry was crispy outside and the semi sweet peppery brown filling was molten, but not watery, it was just the right texture. The new dim sum menu is still being developed, so it only has a few sweet dim sum items (bad news for me, as a sweet lover). At least this golden egg yolk custard bun did well to close our lunch with a sweet ending. The bun is just perfect, not too tough and the right thickness. Most recommended that you eat it right when it's served on the table, because the custard filling will set as it cools. 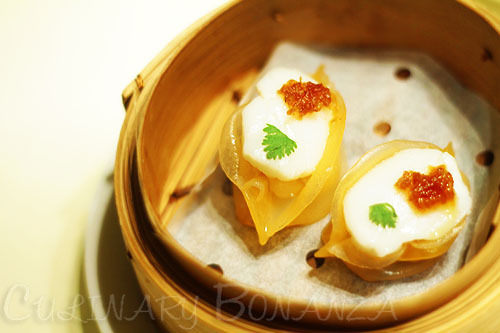 When asked, Chef Lie confirmed his plans to add more sweet dim sum items soon. 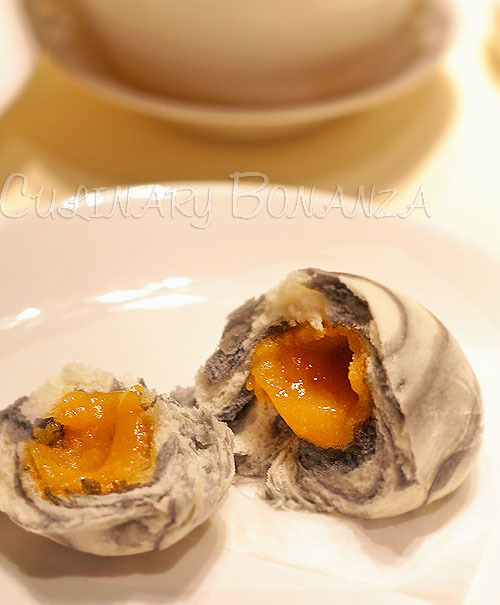 I'm curious if he'll create a fusion sweet dim sum, who knows if he'll make fried sweet dumpling ball (onde) with dark chocolate ganache filling? 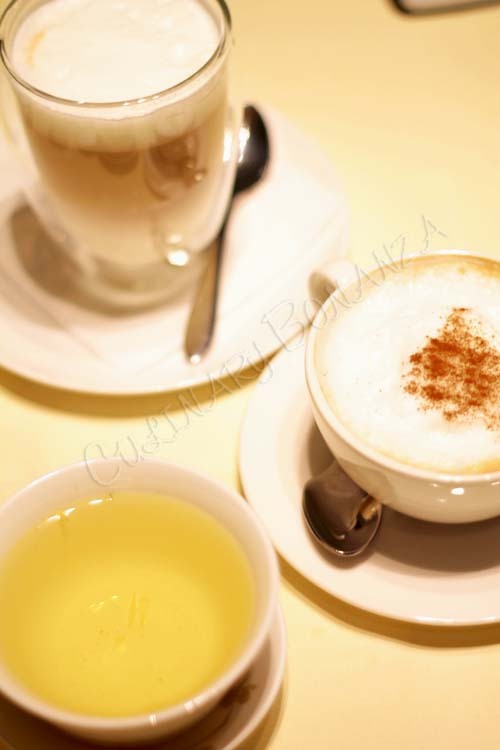 It was lunch time and after such a filling meal, a cup of joe was necessary to prevent us from going into sleep mode. I had one of the tastiest latte, it was silky smooth and not overwhelmingly rich. Perfect ending. 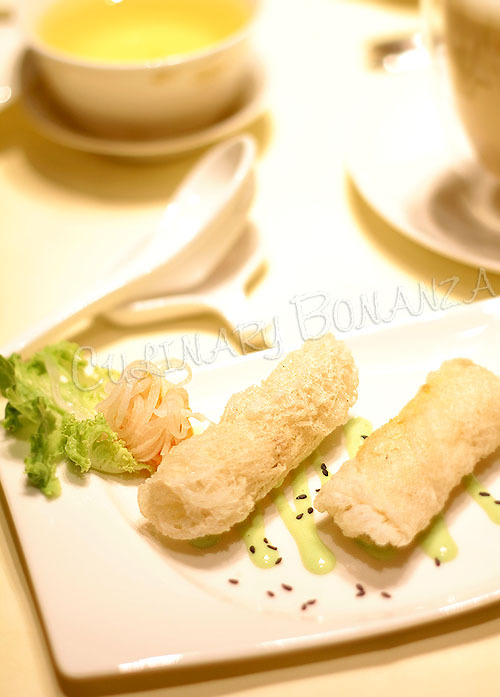 Fancy some out-of-the-ordinary dim sum this weekend? I think this is genius! 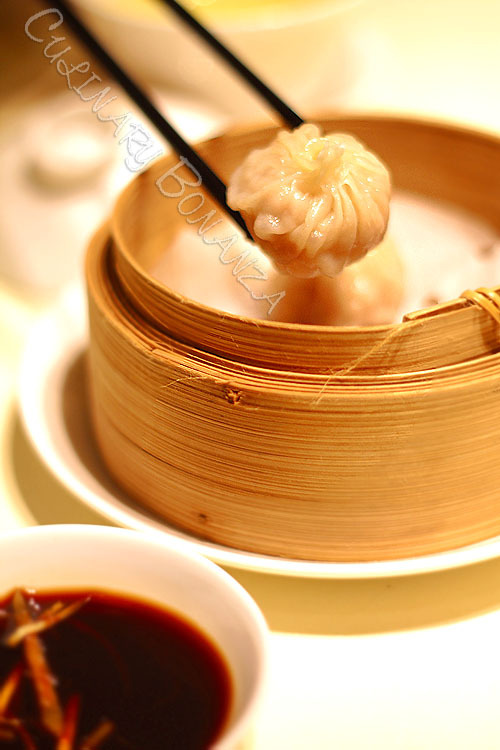 I love, love, love Dim sum! It reminds me of family. I recently got my boyfriend addicted to sui mai, so I'm going to attempt to make some. I wasn't expected this fusion to be quite like that! My mind was veering more towards, mozzarella and tomato dumplings. Very much impressed!